We need social studies. I'm not talking about an official study or formal research project. I'm just telling you what I think. I think we need social studies. We need to talk about and learn about other cultures, how else will kids develop into thoughtful, open-minded people? Ignorance is dangerous. People fear that which they do not know or understand. Through social studies, we can teach students to be empathetic. To accept differences in other people, but yet we are all human beings living in this world together. With social studies, we can teach students kindness, respect, and compassion. We can teach kids that it's bad to lie, no matter who you are or what position you hold. We can teach kids that if something is untrue, it will remain untrue no matter how many times it keeps getting repeated. We need to make sure students understand that a lie is a lie, no matter how many times it is spoken. "Speaking things into existence" isn't a thing and should NOT work, but it will be if we don't teach our students to be critical thinkers! It's important that we have social studies in school because we need to make sure kids understand that you treat people with respect, unlike the horrible examples they often see on the news. Degrading people and hurling insults is NOT OKAY just because those people don't agree with you about something. We need social studies because then we can teach kids to listen, think, reflect and then respond with a thoughtful response. 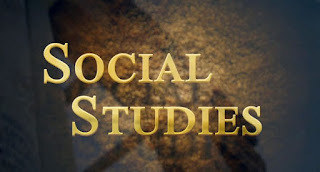 I believe that studying social studies is one of our main weapons to end racism. A lot of people won't need to be able to solve elaborate math equations as an adult. Most won't need to conduct science experiments, or paint a picture, or write a poem. But ALL people, no matter what, should be empathetic, open-minded and respectful because we are all humans living in this world together. Imagine if that were true? Imagine what the world would be like, or just what this country would be like? This is what social studies brings to school. At least, it would if it wasn't constantly being eliminated and viewed as not as important as other subjects. It's as equally important as any other subject area. Take a look at social media comments. People are so nasty to each other! They are setting such a terrible example for kids! We tell kids to be nice and respectful, yet then go off on someone on Facebook. In today's world, with it being as divided as ever, I can see how it is difficult to bite your tongue and not respond. Trust me, I'm with you. But we must set a better example for our kids! Engage in dialogue respectfully. Social studies every day. Physical Education every day. Read every day.